Crystals can calm, invigorate, inspire. If you listen they will speak to your heart and mind. They can be easily programmed. They hold high vibrational energy and can inspire healing in the physical, emotional, mental and etheric bodies. The crystal kingdom on Earth is holding the ascension vibration. We can all be a part of this process if we wish. Most crystal healing is guided by spirit through the healer. The use of each specific stone will vary depending on the recipient. Having a special stone you carry around with you or keep in an area of your home where you spend much time can increase healing. Tanya uses a variety of crystals, gemstones and rocks and a combination of healing techniques including Reiki during a healing session. 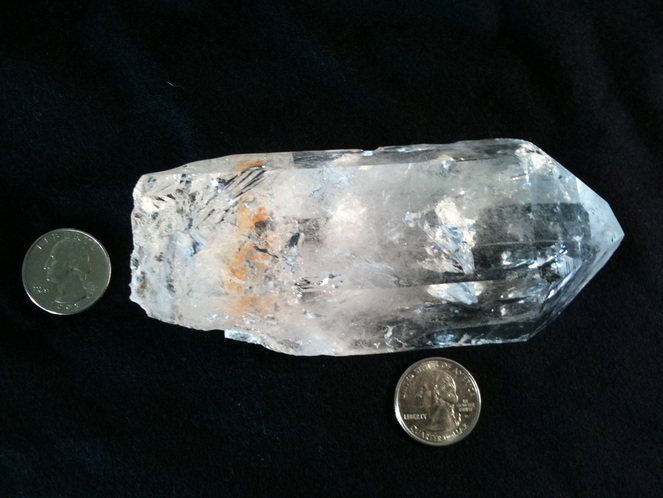 One of the largest crystal kingdoms of Quartz in the world is in Arkansas. This type of quartz has amazing healing properties and can bring in higher dimension healing energy in you, your home or anywhere you choose to attune the crystalline energy. "The Accelerator"Is a 'self service' pyramid designed for one person to sit in at a time and uses the science and healing power of Reiki, Arkansas Quartz crystals and pyramid power to open the crown chakra, align the chakras, activate your healing abilities and connect you more fully with your higher self. Available for events or for purchase. Call 415-350-6585 for details.